Cork tea Mat with marble printed tiles. 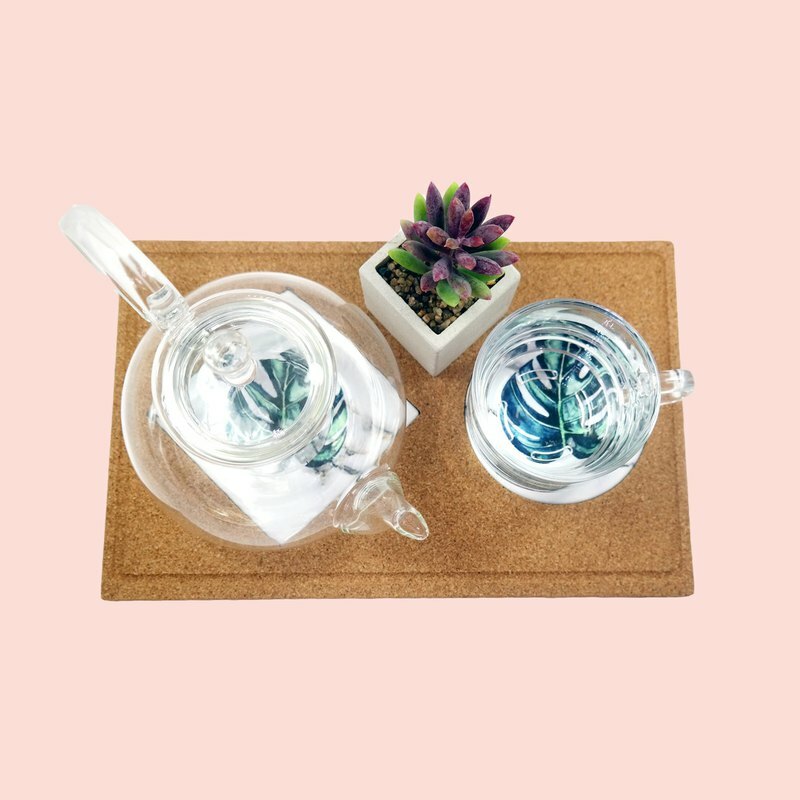 Put your mug on the round tile and put your tea food plate or teapot on the rhombus tile. *Cork Tea Mat Marble Pattern Materials - Portugal Cork Size - 27.7CM X 17.7CM X 1CM Select the tile pattern for the rhombus side/round side. Hand Sanded. Non toxic FDA approved wood glued.